As the entire IT industry moves toward the “cloud”; companies are looking at every component of their infrastructure to see what is no longer needed “on premise”. One of the most popular mail server products on the market is Microsoft Exchange. Many companies host this onsite for the rich feature set that Microsoft Exchange provides. With Microsoft Small Business Server 2003, 2008, and 2011, Exchange was built-in to the operating system which provided a cost-effective email server solution without the need to purchase a separate exchange license and extra CAL’s which are costly on their own. The problem is that many companies would prefer to have exchange functionality with actually hosting “exchange” themselves. And many MSP’s would love to offer exchange functionality to their clients without having to support “exchange”. Businesses want to reap the benefits of having exchange functionality and all that comes with it without having to actually deal with an Microsoft Exchange server on-premises. Same goes for MSP’s. Microsoft’s solution is a product called Office 365. Built as a competitor to the ever increasing popular Google Apps product by Google, Office 365 essentially provides email solutions with exchange functionality, but all hosted in the “cloud” on redundant Microsoft servers across the world. 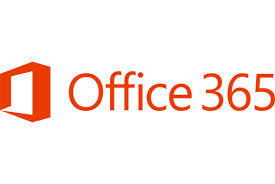 It doesn’t stop there, they have added many of their existing server software packages to Office 365 including Lync, SharePoint, and SkyDrive. With more and more features added every year, moving your email solution to the cloud only makes sense for small to medium sized companies.